. 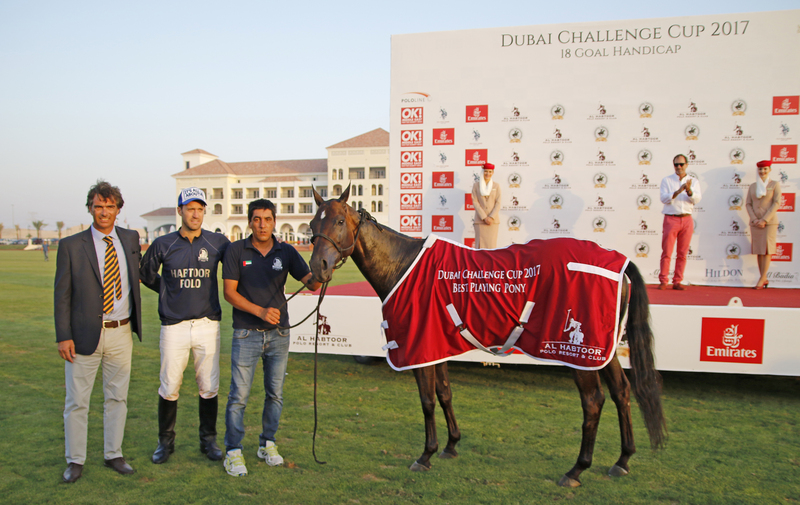 :: DUBAI POLO GOLD CUP SERIES - BIN DRAI POLO WINS THE DUBAI CHALLENGE CUP ::. 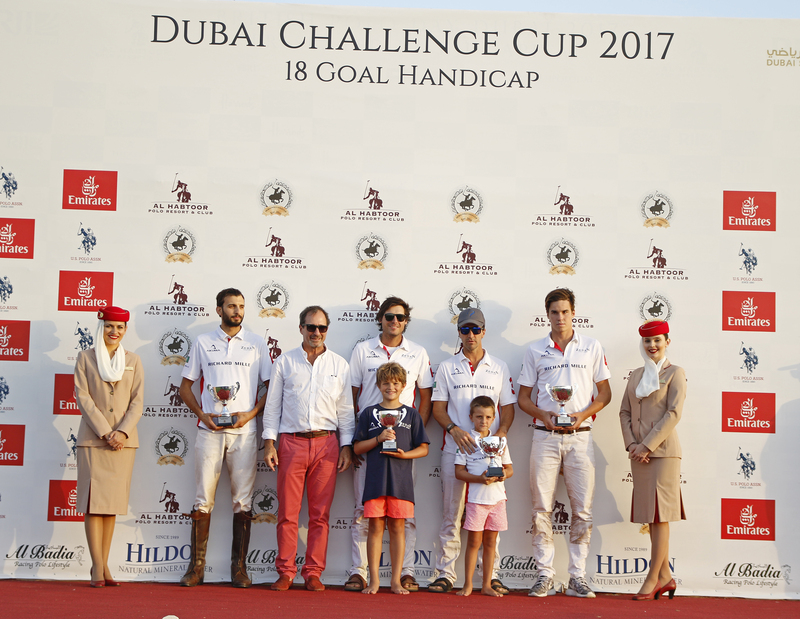 31th March 2017, DUBAI, UAE: Bin Drai Polo Team won the Dubai Challenge Cup after defeating Habtoor Polo in the final by 9 goals to 8 in an exciting match enjoyed by a huge crowd at the Al Habtoor Polo Resort. 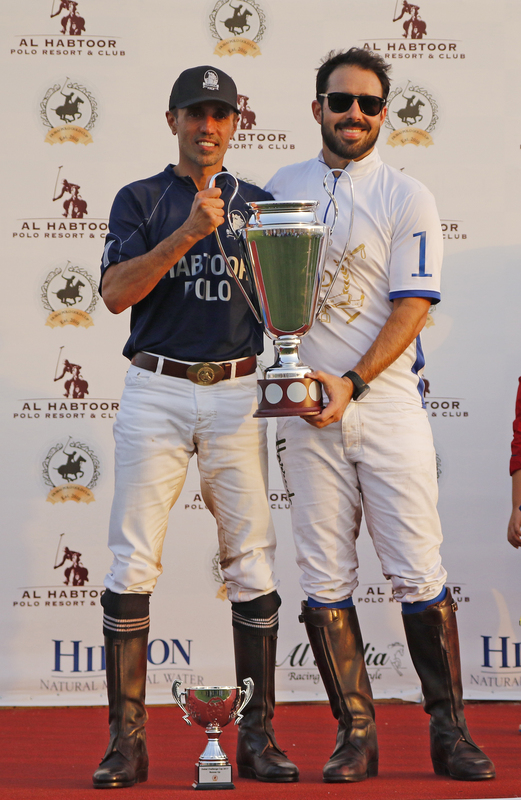 Patron Saeed Bin Drai´s team wins this trophy for the second year in a row to close the fourth tournament of the Dubai Polo Gold Cup Series 2017. Bin Drai and Habtoor Polo played a great match, with high polo level and full of excitement till the last seconds of the game. Team made up by patron Saeed Bin Drai, Gregorio Gelosi, Francisco Elizalde and Raúl Laplacette started the final in a great shape achieving a 5-0 difference in the first two chukkers. Despite of the big gap in the score, Habtoor Polo, with 10 goaler Nicolás Pieres leading the team, kept the necessary calm to stay in the game and slowly started the comeback. Patron Mohammed Al Habtoor´s team showed a great performance from the third chukker onwards to close the gap to one goal. But Bin Drai, despite of the pressure in the score, kept a great teamwork and with Francisco Elizalde “on fire” maintain the lead. In the last minute of the game Habtoor scored and had the chance to tie the match, but finally Bin Drai achieved the victory by 9 goals to 8 to lift the Dubai Challenge Cup for the second year in a row. Francisco Elizalde was the MVP of the final and mare Capacidad, owned by Nicolás Pieres and played in the 3rd and 5th chukker, was the Best Playing Pony of the final. 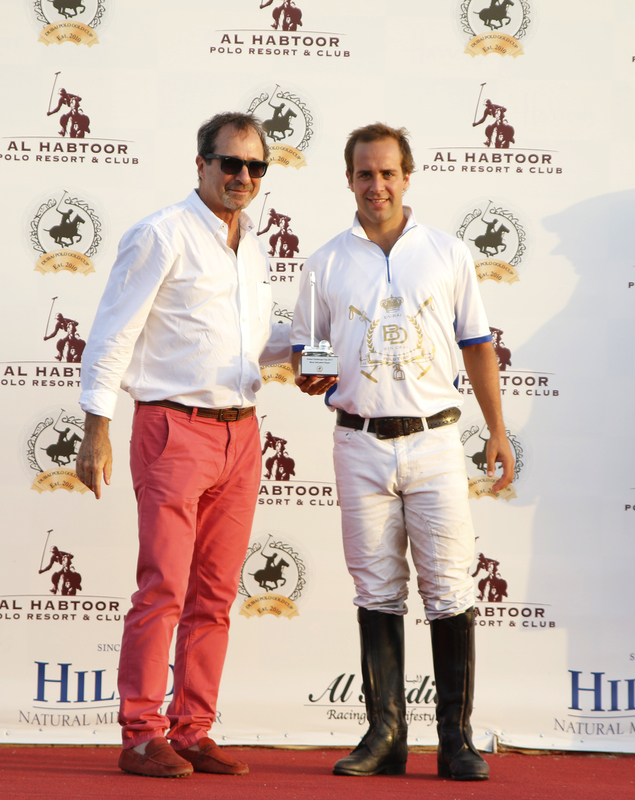 Faris Al Yabhouni, Abu Dhabi Polo Team patron, was the amateur top scorer of the tournament with 9 goals. 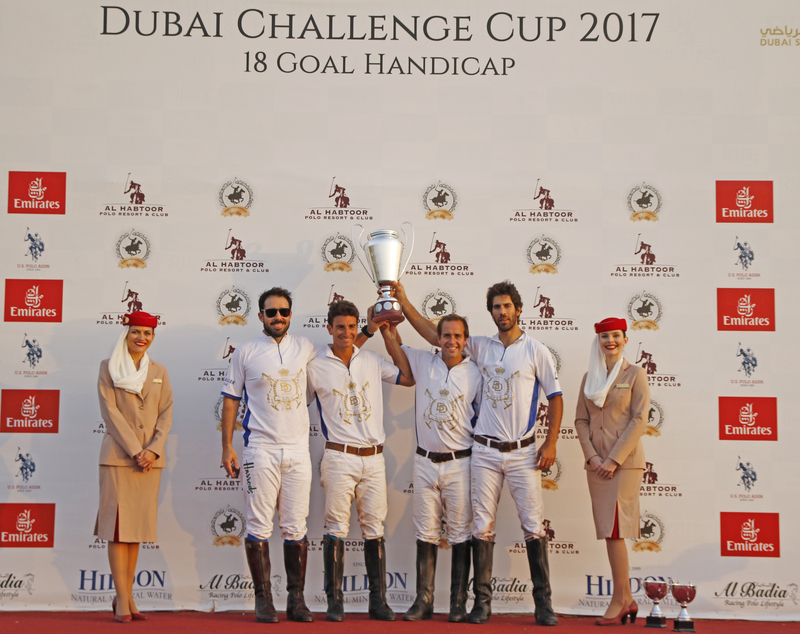 Zedan Polo Team defeated Abu Dhabi by 11 goals to 9.5 to claim the Subsidiary Cup of the Dubai Challenge Cup. Zedan superstar Pablo Mac Donough was the top scorer of the match with 7 goals. From Sunday 2nd April till Friday 7th, the Dubai Cup, the last tournament of the Dubai Polo Gold Cup Series 2017, will be held at the Al Habtoor Polo Resort. Four teams, from 6 to 8 goals handicap, will be taking part of this tournament that will start next Sunday 2nd April from 3pm at the Al Habtoor Polo Resort. The teams of the Dubai Cup 2017 are: Habtoor Polo, Mahra Polo, Dr. A-Bangash and Wolves Polo.